The Blackbird Singularity is in principle about madness, about defining madness and about dealing with madness or a madness that others have projected onto you. Upon finding out that his partner, Lyd, is pregnant, Vince decides to stop taking his lithium, the medication he has been prescribed since losing his young son, Charlie. As Vince battles with mental illness, grief, loneliness, a deteriorating career and a very strained relationship with Lyd, he befriends a blackbird in his garden, a symbol which he very quickly grips onto as it starts to blur his focus on reality more and more. 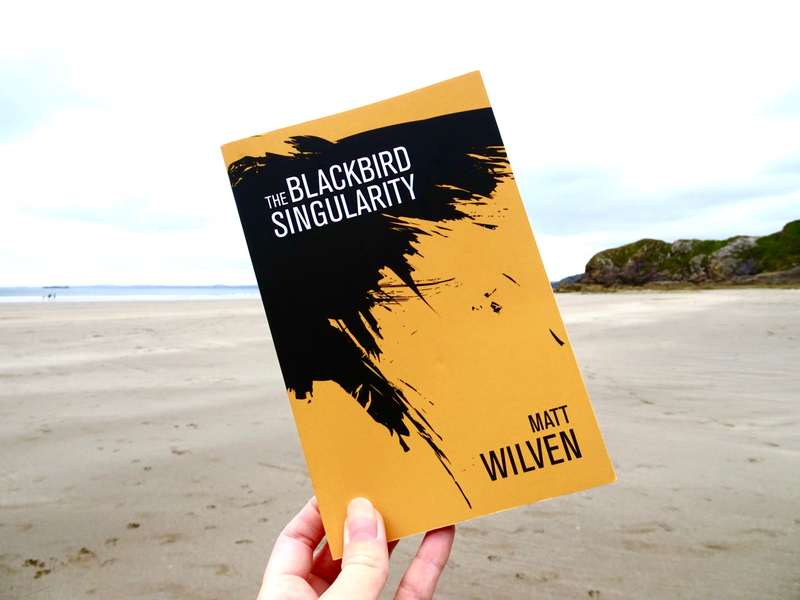 Matt Wilven’s novel is simply but beautifully written, and Vince’s narrative is carefully constructed from start to finish, seamlessly rolling from one passage to the next and merging elusive illusions with cold, hard reality. The book is split into three sections, three trimesters, marking not only Lyd’s pregnancy, but also Vince’s own journey. Each chapter opens with a small explanation of some kind of theory, definition or scientific process, in a way that demonstrates the universality of madness and the relationship between man, nature and science, heightening the almost figurative blackbird metaphors and symbols. In physics, a singularity is a theoretical space at the centre of a black hole with zero volume and infinite density. In mechanics, a singularity occurs when a system or machine reaches a position or configuration where the subsequent behaviour cannot be predicted. In mathematics, a singularity is the point at which a mathematical set fails to be “well-behaved”. In all these cases, there is a singular point of incomprehension, where logic undoes itself and change is absolute. It goes against everything that has come before, yet somehow epitomises it. The Blackbird Singularity is an intense and deep exploration of mental illness and grief, but it’s also very relatable and real. Although Vince’s way of thinking is primarily profound, he is not insufferably self-important and his profound moments don’t try to be overly artistic or poetic, they are very much rooted in real life illusions.